pint-sized mama: The Reason I Write. Every so often I find myself asking the question, why do I blog? The answer to this question has changed since I began blogging a year and a half ago. I started writing and sharing pictures as a way to chronicle my life as a 4'8" tall mom. 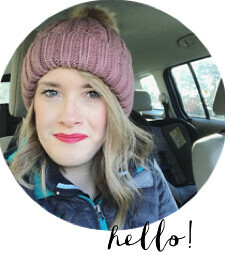 In real life, I shock people on a daily basis with how short I am, so I thought I'd do the same thing on the internet :) It was fun to share funny stories and the unique way my life has panned out in regards to be short and a mom. And I met some really sweet women through sharing my life in that way! That we were never meant to measure up. Perfection is not the goal. The things we lack create space for Jesus to show His faithfulness and power - and when we know that we are lacking, we see that Jesus has all we need. Life and peace is found in Him because we don't have to be "somebody." When we're not striving to measure up to everybody else, we can be honest with each other and with Jesus. And, with all of our issues, our joys, our passions and talents, our doubts, and our inabilities, He embraces us with eager, open arms. So...that's why I blog. Because I bet there are a lot of women out there who, like me, don't measure up. And because I am really imperfect. I have some dreams, some abilities, some fears, and some issues. I love my family, and I mess up. And I have a lot of hope that Jesus is enough for all the things I lack, and that I'm enough for Him. I'll never perfectly communicate all of that on this blog, and I certainly not perfectly in my everyday life. But if you're imperfect too, you're welcome here. I'm writing for me and for you. great post! Loved it.. and very encouraging. I definitely feel the need to "measure up" at time.. and I just don't. Never will. Lucky we have a God who loves us regardless. "But if you're imperfect too, you're welcome here." Well I guess I'm UBER welcome. "The things we lack create space for Jesus to show His faithfulness and power - and when we know that we are lacking, we see that Jesus has all we need." - I need to hear this everyday! Love your blog and the heart behind it! Wow. Very well said. I am tall, but there are many ways I too don't measure up. This is why I love you and your heart. You're truly a light + an example to so many!